Ships today if you order in the next 12 hours 18 minutes. 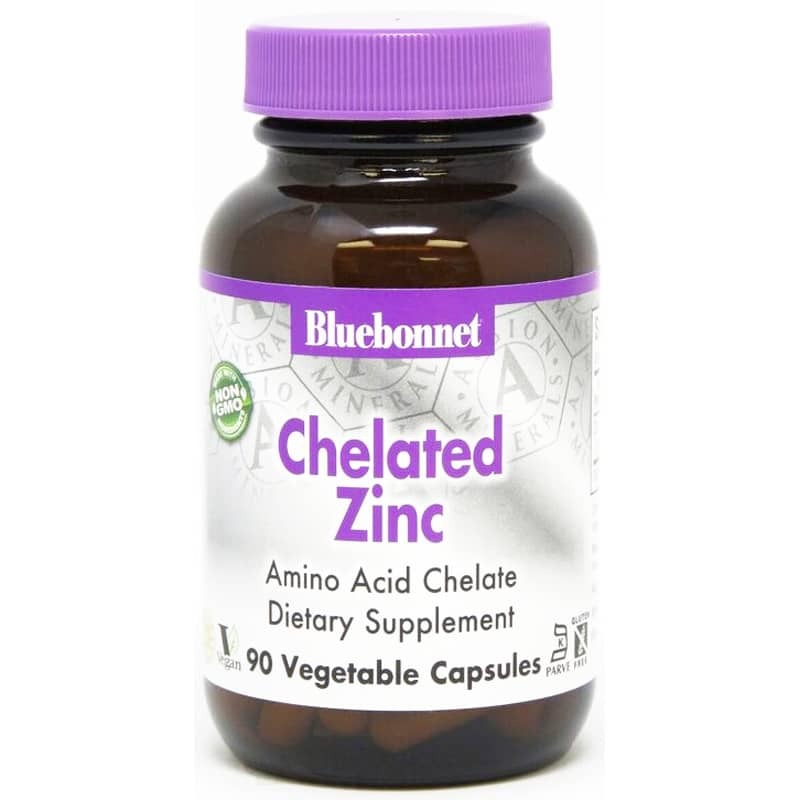 Albion Chelated Zinc from Bluebonnet is a natural dietary supplement to support the immune system and the health of men. 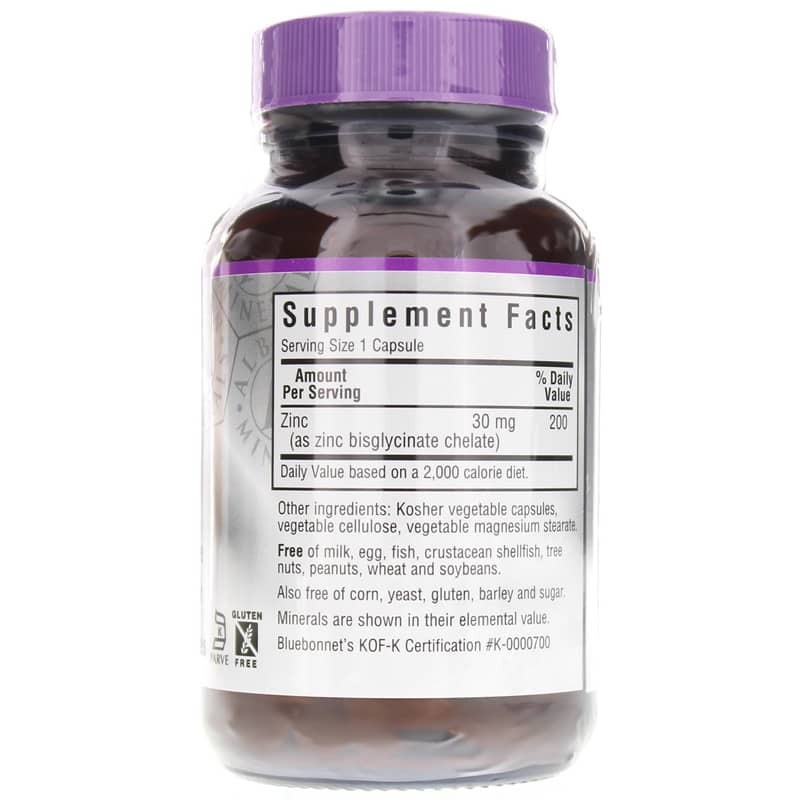 Found in cells throughout the body, zinc helps the immune system fight off bacteria and viruses. The body also needs zinc to support the healing process and make proteins and DNA, the genetic material in all cells. During pregnancy, infancy, and childhood, the body needs zinc to grow and develop properly. While we only need a small amount of zinc in our diet, it is important that we get it. And the average diet in the developed world may provide insufficient zinc, especially in women, adolescents, infants, and the elderly. Zinc deficiency can result in slow growth in infants and children, delayed sexual development in adolescents and impotence in men. 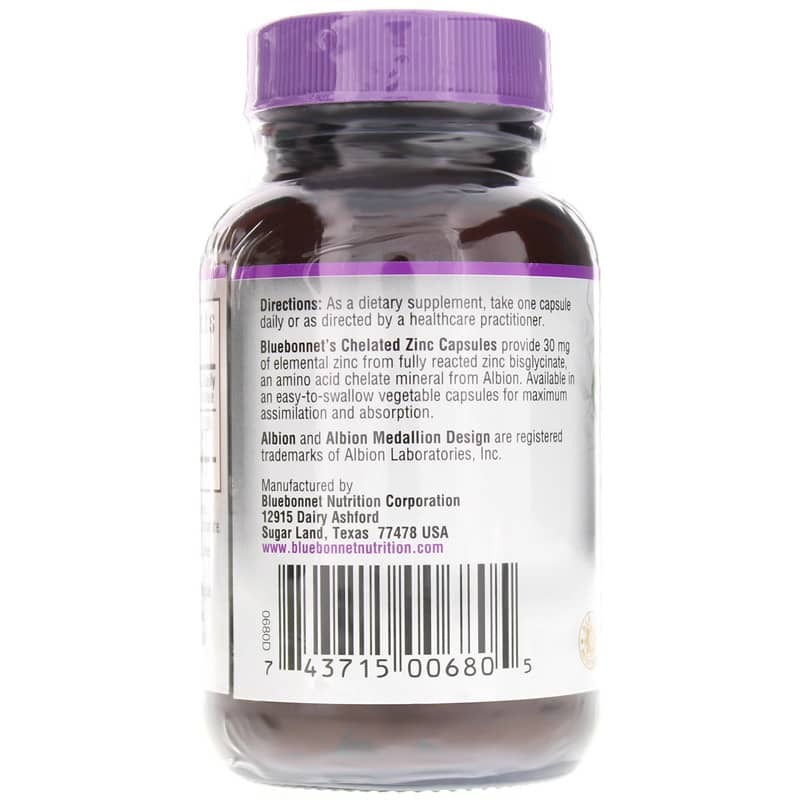 Albion Chelated Zinc 30 mg Vcaps uses amino acids to transport reacted zinc bisglycinate to where it is needed in a form that ensures maximum assimilation and absorption. Contains NO: GMOs, milk, egg, fish, crustacean shellfish, tree nuts, peanuts, wheat and soybeans. Also free of corn, yeast, gluten, barley, and sugar. Vegan and Kosher. Good prices for good quality. Quick delivery.